Carrier Community (CC) is a global telecom club established in 2008. 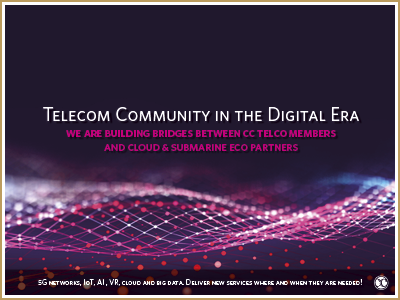 CC organized its 8th annual global carrier community meetings (GCCM) on 14th & 15th March 2019 in Singapore at The InterContinental Hotel. 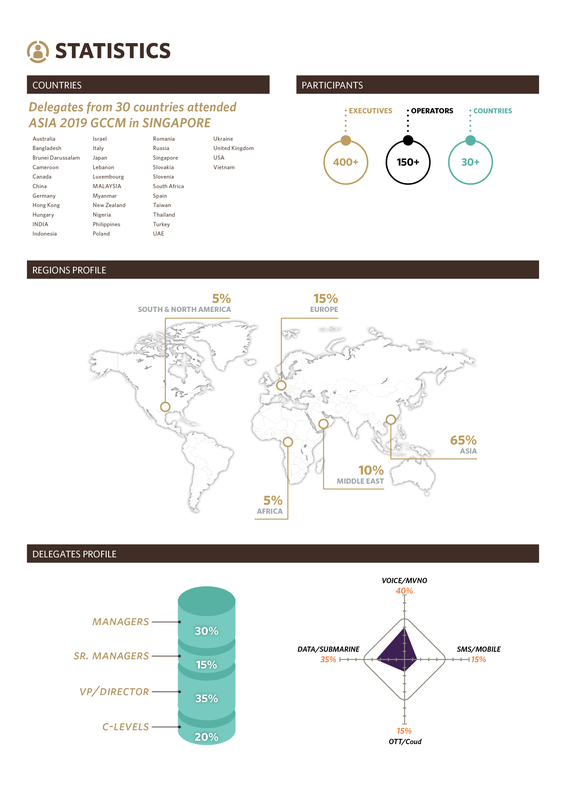 More than 450+ Club Members representing decision makers from the 193+ Tier-1, Tier-2 and Tier-3 operators from 37+ countries met and networked during the ASIA 2019 GCCM – Singapore . All GCCM registered CC members had free access to the CC-Submarine Summit taken place on 14th & 15th March 2019 at the InterContinental Hotel. Meet more than 450+ members representing 190+ regional and international telecom operators and eco-partners. Competitive entrée rates for 2 days at 450 EUR per delegate including all leisure activities and networking receptions. Attend business networking sessions executive panel sessions during the two days. Key-note Presentation by Juniper Networks. Lim Kian Soon is Singtel Head of Carrier Sales & Voice Support, responsible for all domestic and international data sales business to all carrier customers. He is also responsible for supporting the carrier voice team in international accounting and settlement. Kian Soon assumed this position in April 2017. Prior to this appointment, as Head of Singtel Satellite, he was responsible for the fixed and mobile satellite business and infrastructure in SingTel, as well as ICT and cyber security innovation over satellite for the maritime, broadcast and land mobile segments. 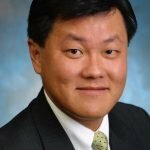 He was the Regional Head in SingTel Global Office from 2005 to 2012, responsible for leading SingTel’s growth in North Asia markets – delivering telecommunications, managed services and cloud solutions to enterprise customers in Japan, Korea, Hong Kong, China and Taiwan to support their IT operations in Asia Pacific region. 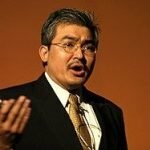 He was the Country Director of Singapore Telecom Japan Co., Ltd., a wholly owned subsidiary of Singapore Telecommunications Ltd (SingTel) in Japan, from 1999 to 2005. 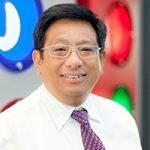 He joined SingTel on 1 September 1997 as the Deputy Director (Internet Business Development) in the multimedia business. He subsequently assumed the post of the Deputy Director (Marketing) in SingNet, a wholly owned subsidiary of SingTel. Before joining SingTel, Kian Soon worked for the Defense Technology Group of the Ministry of Defense in Singapore from 1990 to 1997. Kian Soon graduated with a Bachelor of Information Engineering from the University of Tsukuba, Japan in 1989. He obtained his Master of Business Administration in 1999 from the University of Leeds, United Kingdom. Nimisha has international expertise in the field of competition and regulation and has worked in consultancy firms and competition regulators in UK, New Zealand and Singapore. She has led high-profile and complex merger investigations, drafted merger control guidelines and advised government agencies on competition matters involving regulation, policy and public procurement. She conducted economics research, supervised market studies and led a regulatory review at the Singapore Tourism Board. At the Competition and Consumer Commission of Singapore, as Deputy Director, Nimisha supervised a seminar on e-commerce and gained in-depth industry knowledge on credit cards, taxis, car parts, liner shipping and cruiseports. In 2015, Nimisha was seconded to the Australian Competition and Consumer Commission. 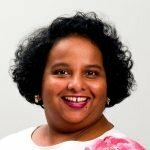 As an expert, Nimisha has presented to business associations, business schools, universities, workshops for ASEAN government agencies, as well as at the International Competition Network Conference. She is a former member of the UK Government Economic Service and worked at the Office of Fair Trading and the Radiocommunications Agency, providing economic advice on radio spectrum matters. Nimisha has a MSc degree in Economics from the London School of Economics and Political Science. She also has a BSc (Hons) degree in Economics from University College London. Prior to joining IMDA in September 2018, Howie was the Chief Marketing Officer of Starhub and he was responsible for the company's brand and marketing strategies across the company. He was also responsible for StarHub's consumer business and oversees StarHub's Mobility, Pay TV and Broadband businesses including the Content and Local Production teams. Howie was the Vice-President, Corporate Development of Lenovo's Worldwide Finance Organisation, where he oversaw Lenovo's end-to-end Post Merger Management and related Merger & Acquisition matters. 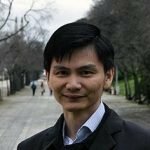 Previously, he was Lenovo's Vice- President of Marketing and Communications for Emerging Markets Group, and was responsible for the strategy and execution of marketing and communications in the China, Eastern Europe, Hong Kong, India, Korea, Latin America, Middle East, Russia, Taiwan and ASEAN markets. Howie was conferred the prestigious NUS Eminent Business Alumni Award and the NUS Outstanding Young Alumni Award for his achievement and contribution to the industry. Monica is Google’s APAC Head of Telco Partnerships, based in Singapore. She brings more than 15 years of experience in telco, media, and financial services having assumed senior roles in M&A, Strategy and Venture Capital. Before joining Google, Monica spent 10 years at Singtel and Singtel Innov8, Singtel’s corporate venture capital arm where she worked in multi-billion M&A (mergers and acquisition) deals as well as investments in start-ups. In her current role, Monica wants to partner Telcos with the best of Google in aligned priorities and accelerate growth through strategic win-win collaborations. Named as one of the key individuals who have made an impact to the infocomm landscape in Singapore. A special feature brought to you by the Infocomm Development Authority of Singapore. Hwee Ming is a Principal Technologist with Red Hat covering the telecommunications domain. She is based in Singapore and supports the APJ region focusing on emerging Red Hat technologies. She has been working with service providers, adopting these technologies for Network Function Virtualization (NFV) and has worked on multiple NFV proof-of-concept across the regions. 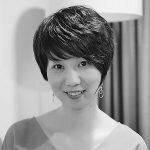 Before Red Hat, Hwee Ming worked with Hewlett Packard and she has over 15 years experience in the industry working on OSS, next generation Intelligent networks, converged networks, NOC consolidattion and regulatory compliance. She has also work with customer in other sectors focusing on IT transformation and data center consolidation based on ITIL processes. 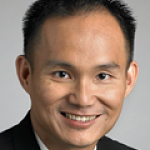 Eric Tan is Senior Manager, Solution Sales at Juniper Networks. He is responsible for business and solutions development of Packet Optical Technology offerings for penetration of new and existing market segments. He is also involved in regional Pre-Sales role, where he leads the Southeast Asia team in high-value projects working closely with both regional and local partners to ensure quality solutions and drive customer satisfaction. 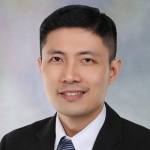 Eric Tan holds a Bachelor of Information Technology and industry experience of 15 years in telecommunications, pre-sales, bid management, project management, business development and technologies of IP, Optical (C/DWDM), SDH, FTTx, xDSL & Security across the APAC region. Joshua is Head of data centre for A*STAR and manages its corporate data centre. Prior to joining A*STAR, Joshua was with IDA, where he was involved in delivering a resilient and secure hosting environment for the public sector. Regional Director - South East Asia at Accedo Singapore Pte Ltd.
Chris Hampartsoumian has been living and breathing Internet, web and OTT video technology for the past 20 years. With a career that started in his home city of London, working for a mixture of Media and Technology companies including News International and Sun Microsystems, his experience with OTT Video services took him to Australia in 2010 to work onsite at FOXTEL and then to Singapore where he’s been based for the past six years. Formerly the ASEAN Technology Evangelist for Amazon Web Services, in 2015, Chris set out and opened the Singapore office for the Swedish OTT Video Products and Services company Accedo. “The web was exciting in 1996 and it’s still just as exciting today. The transformation is sweeping and seems to be the new normal! 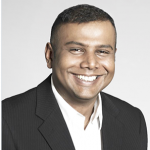 Working on the disruptive edge of OTT keeps you moving fast all the time"
Prasanna is a Product Management Specialist with over 8 years of experience in the telecom industry. He specialises in the management of technical and strategic product portfolios and possesses deep knowledge in network services such as such as Ethernet, Cloud Connect, API, on-demand platform, IP and Private Line Services. 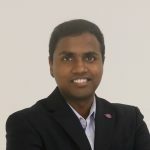 As Epsilon’s Global Senior Product Manager, Prasanna is responsible for leading the development and management of overall WAN & Colocation portfolio which include Data Centre Interconnect, Cloud Connect and Internet Exchange (IX) Connect. He plays a pivotal role in growing Epsilon’s Global Interconnect Fabric by working with leading industry experts to develop next generation cloud-centric networks and transform traditional telecom Products onto innovative on-demand platform. Prasanna graduated from the National University of Singapore with a Master of Science in Communication Engineering. Ka Vin brings with him over 30 years of Executive Management and leadership roles in the ICT industry. He is the Founder and Managing Director of DC1st Pte Ltd, a Singapore company established in 2017. Prior to establishing DC1st, Ka Vin served as the MD of 1-Net where he led a major rebranding process, continued to grow its revenue by expanding their customer base and built SEA’s 1st Uptime Tier III DCCF DC in Singapore. 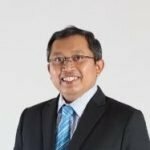 Previously, Ka Vin was the MD for CSF Asia where he was responsible for extending CSF Group DC business into Indonesia through the formation of a JV between PT Cyber CSF with KGN Group. He was responsible for constructing Jakarta’s largest and newest Data Center which was designed for the Telecom and Banking Industry. This is now the NTT Nexcenter DC in Jakarta. Ka Vin spent 11 years in Singapore Technologies Telemedia where he held key management positions. He was involved in the early days of ST Telemedia’s growth in the industry, working on M&A and tenders for Telco licences both in Singapore and the region. He headed the team that developed the successful proposal for Starhub Mobile. Ka Vin went on to be one of the 2 prime founders of i-STT Data Centre which subsequently became Equinix, the world’s largest data center operator today. At Equinix, Ka Vin was the VP Business Development for Asia and he provided the leadership which ensured all 4 Asia sites delivered a positive EBITDA creating a US$80 million annual recurring revenue contribution from Equinix Asia’s operations by FY 2008. Ka Vin holds a Bachelor Degree in Computer Science from Sheffield Hallam University. Harry Toolseram, described as a thorough-bred Gemini, has been with Juniper since end 2005. He is a Consulting Engineer attached with the Center of Excellence APAC team. 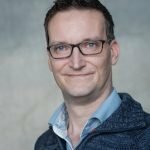 Started off his career as a software developer, military officer, instructor, lecturer, network security, authentication systems architect and currently focusing on helping partners and customers understand and drive business value from Cloud Services and Solutions as a means to ensure continued business sustainability and profitability. In his free time, Harry enjoys scuba diving, watching movies, listening to music and plays the drums for stress management. Wouter joined DE-CIX in January 2018 and is part of the Global Business Development team responsible for expansion, evangelization and growing the global business by developing new strategic initiatives. He has over fifteen years of experience in Global Peering Strategies and Business Development at various Internet and Network Service Providers in EMEA, APAC, the United States and Russia. 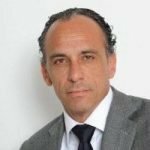 Filippo is Managing Director for Asia Pacific at DOCOMO Digital, the international payments division of NTT DOCOMO of Japan. During the last few years, Filippo has been leading DOCOMO Digital's tremendous growth in the JAPAC region, and forging enduring relationships with key corporate clients and partners - especially in telecoms, payments and app stores. 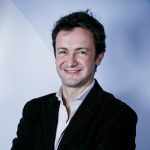 Previously, as Business Development Manager for Asia Pacific in RCS, a European media company, Filippo led the launch of OTTs and content partnerships - focusing on music majors, video streaming providers (SVOD), gaming companies and handsets manufacturers (OEM). Filippo received an MBA degree from SDA Bocconi School of Management, Italy, with a major in Marketing of Media and Entertainment from NYU’s Leonard N. Stern School of Business, New York. Prior to this, John was the Regional Head of Asia for Telstra’s voice business leading growth in the Asia region for both voice and mobility services. John has 20 years’ experience in the Telco industry with past roles in operations, sales, marketing and business development spanning both the Voice and Data segments. He was MD & Country Manager of Telecom NZ in Singapore before joining Telstra. Proven Technology Executive and Leader with over 18 years’ experience in Global Cloud, Technology and Applications industries. Shehara is driven to deliver customer centric strategic solutions that produce significant revenue growth in new markets across MNC, Enterprise, Government, SMB and Retail sectors. Shehara has a track record of driving change in medium and large companies to build capability across multiple business units to take new technology portfolios to market from inception. She has experience in driving change within businesses to adopt Agile and Rapid Delivery frameworks. She is also a frequent speaker and panel member at Cloud and Digital Thought Leadership events. Andreas was the Founder and Group CEO of Epsilon Global Communications, which includes Epsilon service provider and Cataleya technology businesses. He is now continuing to supporting the industry’s evolution through his start-up and investment facilitator (Incipio) and his position on the board of Cirrus Core Networks. During his 18 years in the global telecoms community he has contributed to the evolution of the international markets and technologies, creating innovative businesses, and disruptive business models. Objective-result focused. Work toward business sustainability by balancing working capital to grow EBIT/DA within a calculated time frame. Business shall capitalize on current stronghold in DataCentre, Infrastructure and Government market segments and endeavour to grow new business segments for FSI and TUMI. Advocate a systematic business approach, supported by a committed Socomec business and operations team to enable success and sustainability. Responsibility, Openness and Commitment are the business core values that form the fundamental building blocks of Socomec's business in the last 95 years. 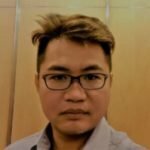 17 years experience in Data Centre industry, with 12 years of experience in Sales and Business Development, starting off with 5 years of experience in Project Management. Initial 5 years involved managing projects for ICT and M&E with Century Technology, then DataSphere. Started the Sales portfolio with Emerson Network Power and managing the Enterprise Sales Team for Singapore. Strategic business planning and execution were key to business enablement for the role of Head of Sales, Enterprise. Business segments included BFSI, IDC, Gov and Manufacturing. Responsibilities in Socomec include nurturing and developing business developer talents for business growth, streamlining operations for efficiency, up-skilling of employees to develop a competent workforce that creates a competitive advantage for Socomec in the market. Coupled with appropriate controls on indirect costs, the company sets to achieve healthier balance sheet YoY. A company with 95 years of engineering expertise, Socomec offers power solutions and technologies for Uninterruptible Power Supply (UPS), Static Switch, Auto Transfer Switch (ATS) and Power Quality Monitoring System (PQMS) that support critical infrastructures and facilities that are downtime-averse, globally. 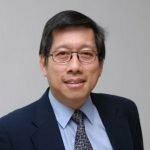 Jimmy Ang has been working in the Information Technology industry for more than 30 years with the last 23 years in management level. In year 1988, he started in providing Data Centre system & operation management for a national wide project named Trade-Net, after successfully cut over to production, he handled it over to Trade-Net management but continues the daily operations management support with a team of operational staff for another three years. He was part of the management team in setting up the Business Recovery Services for IBM mainframe Customers in SCS Singapore; it was the 1st of the kind of services being offered in the APAC region, Customers include SIA, major Singapore skateboard organisations and the MNC banks. With the increase in system requirement, the centre was then expanded into multiple system platforms (include AS400, UNIX systems & Desktop work seat), and offers the one-stop recovery services to include the dealing room support for commercial banking sector. Jimmy taken over the Recovery Services Business unit in 1994, further expand the Data Centre space from 20,000 to 30,000 sq ft, one of largest DR Service Centre in Singapore providing the multi-platform system recovery services, client’s contract volume increased to 200 and sales revenue growth into 20 million dollars annually. In year 1996, the Data Centre relocated and moved into a largest space of 80,000 sq ft at Bedok South. Started the dedicated and shared office work-desk recovery service for commercial banking companies to address their Business Continuity Business objectives. He also participated in IDA Business Continuity chapter as key committee member and providing the DR/BCP consultancy service to most of the clients. In year 2001, Jimmy takeover the Infrastructure Outsourcing services unit. Offer the Infrastructure outsourcing managed services to include the Call Centre support, Data centre operations management, change management, configuration management, network security management, onsite desk-top supports and Data centre hosting managed services supports. Managed a total staff strength of 200 headcounts. In year 2008, he joined Fujitsu Asia as the Director of Data centre Country operations. Taking charge of the two Data Centre operations and started working on their third data centre expansion project. The centre was successfully launched in Jan 2009 after 8 months of infrastructure site construction. It’s was a Tier III classified in design Data Centre. The new centre was to position Fujitsu Asia as their ASEAN hub for Data Centre managed services, client includes the MNC banking & finance companies, Offer the Hosting managed services with latest infrastructure technology solution for remote operation management and cloud computing services. 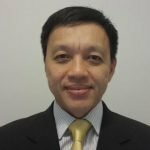 He left Fujitsu Asia in March 2011, Joined Strateq Singapore as EVP of Infrastructure technology Services to take charge of their Singapore Business Sales & Operations. He setup a 3000 sq. ft. Data Centre and 8000 sq. ft. business work area for their DR/BCP service’s needs, tapping on the new cloud computing technology, he created the DR as a Service solution. Client covers the banking & finance, Insurance and manufacturing companies. Besides the Profit & Loss responsibility, Jimmy looks into new business development, revenue generations, solutions consolidation, operations management, resources management and performance management. Stree manages Cato’s overall business operations in the APJ region. In his previous role at Imperva, Stree’s technical knowledge and experience developing and growing software businesses were key to providing solutions that helped customers protect against data security threats. 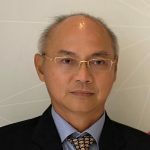 With more than 21 years of experience in the Asia Pacific IT industry, he has earned his reputation as a leading authority in IT, channels and data security for both the public and private sectors. Stree holds an M.B.A from Deakin University. 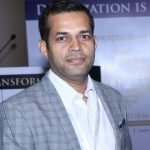 He has more than 15 years of full time work experience and worked with companies like Novartis, Procter & Gamble and Nuclear Power Corporation of India Limited. He is actively engaged with most of the major Banks, Fintech start-ups & customer intelligence companies on developing new capabilities using mobile analytics. Pramod’s equally important job is being a good husband to his wife Neha and father to his son Prarabdh. Together with them, he stays in Mumbai, India. 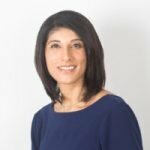 Shahar has joined PCCW Global in 2001 and has served in various sales, pre-sales product development, and Technology roles. 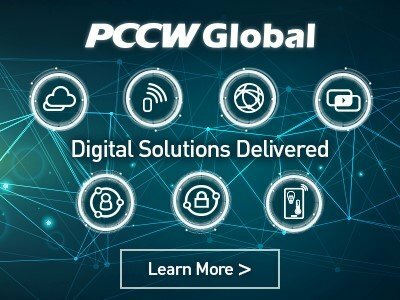 In his current assignment Shahar explores the applicability of new technologies to PCCW Global’s current and future product portfolio. Shahar represents PCCW Global in numerous Standard bodies such as MEF, ITU-T, ETSI, NGMN, TMF, i3Forum and others with focus on inter-carrier operation standardization. Shahar has been involved in the international telecoms arena for over 20 years and his main focus nowadays is the applicability of new technologies, such as Blockchain as enablers of federated orchestration across multiple operator domains. 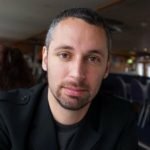 Adrian Martin is the Head of Sales for Superloop Asia, based in Hong Kong. 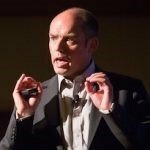 He has spent a twenty five year career being a part of, building and leading high performance teams across functional groups and geographic regions. He has been responsible for setting business objectives, developing and executing growth strategies, building and maintaining C-Level relationships, and negotiating strategic commercial deals. 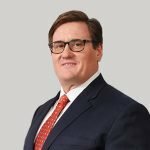 Adrian has cultivated a strong reputation in the Global Telecommunications industry as an executive who consistently delivers outstanding repeatable results. 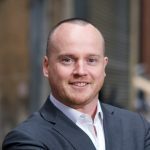 He has a Bachelor’s degree in Business from his native Ireland and an MBA from the Australian Graduate School of Management (UNSW) in Sydney. Mr. Dave Ng had over 35 years of knowledge and experiences panning both the IT and data centre industries. Dave Ng is currently the Managing Director of 1-Net Singapore Pte Ltd. Prior to joining 1-Net, Dave Ng was the Principal Advisor of TAC Advisory Services Pte Ltd focusing on driving transparency, accountability and continuity in critical facilities and data centre infrastructure and operations with the implementation of DCIM and DCSM. He was the Director of the Uptime Institute Network–Asia Pacific and Technical Director of Uptime Institute, Professional Services. Together with late-Ken Brill, the founder of Uptime Institute, extended its certification and professional services to Asia-pacific. Dave Ng was the CEO of Keppel Digihub Ltd for over 10 years, and had delivered on profitability and zero downtime for its datacenter operations during his tenure. Trained by Uptime Institute to deliver on Management & Operations (M&O) Stamp of Approval. Mr. Ma Yanfeng is the Vice President of Huawei Marine Networks (HMN) and also the head of the Sales and Marketing Department, mainly responsible for the business development and strategy of the company. Mr. Ma has devoted himself to the fiber optical transmission and communication industry for 21 years. From 1998 to 2009，Mr. Ma served as Senior Executive and was in charge of Optical Transmission Technical Sales Division in Huawei Technologies Co., Ltd. He got fully involved in the technical evolution and customer requirement variation, and worked in the Middle East and European region for over 6 years. Since 2009, Mr. Ma has served as the Vice President of HMN, contributing himself to the management of the company and the coordination of the main sales regions. 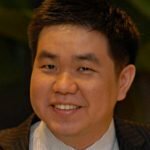 Based in Hong Kong, Billy Fung is CTO of DCConnect Global (DCC), he is leading teams of 20 covering R&D, Product, and Network Operation. DCConnect Global is a software house based in Hong Kong since 2016. DCConnect can provide nationwide EVPN services in China thru DCConnect China. DCC had been awarded for the China Institutional of Communications (CIC) and Global Settlement Carrier Group (GSC) Best Innovative Product and Best Practice Award in 2018. DCConnect had been a Member of China Cross-border Data Telecommunications Industry (CDTIA) granted by The China Academy of Information and Communications Technology (MII/CAICT). In June 2018, DCC was the First SDN Service Provider in China to provide Two-ways Inter-carrier Orchestration Carrier Ethernet. With the rapid growth of DCC business, DCC was lucky to be the first service provider to interconnect with Alibaba Cloud and Tencent Cloud thru API integrations. By its unique Orchestration System, DCC can provide automatic CE-to-Cloud and Cloud-to-Cloud configuration. In January 2019, DCC had been appointed by the Ministry of Industry and Information Technology of the People’s Republic of China (MIIT) as the SDN/SDWAN Policy and Standard Committee Advisor. DCC is the only advisor that have Software Development Technology Capability that can make real influence to the committee. Prior to joining DCConnect, Billy gained his 4-years Telco experience during his position in WTT (AS9381). He was involved in the sub-marine cable management, Int’l facilities, Interconnection and Product Management of Int’l Data & IP. His visions made him success in continuous improvement in Internet quality by matching eye-ball and content players around the world. He also gained his solid IPVPN & EVPN background, Data Center management and carrier-grade CS experience during his former position in DYXnet in early 2007. 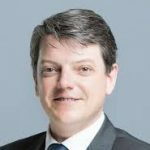 He specialise in telecommunications and IP Networks and has over 20 years of experience in the industry handling key functions such as research, engineering design, implementation of fibre TV and FTTH services. Prior to joining SP Telecom, he was responsible for leading key initiatives in 5G transport and Software Defined Network (SDN) at a major telco. He has more than 21 years’ experience in the telecom industry where he was involved in building Telkom’s domestic & international submarine networks. He was also involved in several international consortium submarine project as an engineering expert leader, including Assignment Routing and Restoration (AR&R) and Operation expert. Beside submarine network, he also developed Internet Exchange, Data Centre Interconnect, Metro-Ethernet and Cloud Infrastructure. He was awarded the MEF Carrier Ethernet Certified Professional (MEF-CECP) of the Year award in 2014 by Metro Ethernet Forum. The award is given to the MEF-CECP who has shown leadership in the expansion of Carrier Ethernet around the world or has provided the most outstanding technical contribution to the Carrier Ethernet Technical Community. Graduated with a Bachelor in Telecommunication from the Telkom University and is also a certified Data Centre Professional and IPv6 Forum Certified Engineer. Simeon is Chief Strategy Officer at AdaptiveMobile Security and has over 25 years’ experience within the mobile fixed line and IT infrastructure markets. With a career spanning Marketing, Product Management, Business Development and Operations roles, Simeon has worked for Telecom Infrastructure providers and solution providers with 9 out of the top 10 largest carrier groups. 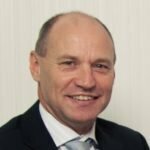 Simeon has worked with AdaptiveMobile since the foundation of the business, assisting Service Providers on the protection of their subscribers and network through a range of senior management roles, and is currently responsible for the development and execution of the Company’s strategic initiatives. Pieter Knikkink has more than 18 years of experience in the Telecommunications industry, and is currently leading the Nokia Cloud Collaboration Hub centre for the APAC region. These centres facilitate operators to visualize, develop and execute the specific NFV & SDN use cases based on their cloud strategies, though innovative tooling and automation, as well as DevOps based cloud development and delivery. Prior to this role he held various product development and marketing roles covering virtualization, network probing and VAS Services. With over 9 years of experience in all commercial aspects of the data center asset class, Tom specialises in strategic management of global data center portfolios and the transaction management of complex acquisitions in global markets with a particular focus on the Asia Pacific region. Responsible for managing and leading Data Center Solutions account and transaction teams, Tom has brokered over 150 acquisitions across more than 40 countries globally. 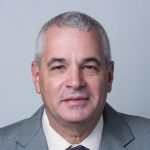 He specialises in the acquisition and disposal of international data center assets and complex TCO financial modelling including the comparision of colocation vs self-perform vs cloud, sale and leaseback analysis, site sourcing, managing RFP/RFI processes and HOTs & SLA negotiations. As CBRE’s subject matter expert on data center solutions, Tom is a strategic advisor and retained account manager to world leading carrier, technology and financial companies on data center consulting and global colocation data center markets across the Asia Pacific region. He is a leading expert in structuring high value, complex data center transactions in alignment to business-critical milestones. Lim Hock Koon is an internet pioneer and Managing Director for Moratel international with specific focus on submarine cable build between Indonesia and Singapore. Evelyn is an experienced public policy specialist in technology, economics and education. She is currently a Manager at the Personal Data Protection Commission (PDPC) of Singapore. She has close to a decade’s experience in working with and in governments in Asia Pacific to enable businesses and consumers to thrive in the digital economy. Her current focus includes AI ethics and governance, data protection and data innovation. Prior to joining PDPC, she was the Director of Programmes at the Asia Cloud Computing Association. She had also worked with the Penang government’s think tank, Penang Institute on economic policies and research. She holds a Master’s in Education from Harvard Graduate School of Education and a Bachelor of Science (Economics) from Singapore Management University. in countries throughout the world. Perfect Telecom is the brainchild of some backed by young dynamic and experienced manage- ment team to deliver best of the VOIP com- munication services with easy to access and most affordable price to their clients. We are located in Singapore with registration number: 201626043D. Our goal is to expand our part- ner database by expanding voice business and creating stability for long term relationship. Get in touch with us to start benefiting from our expertise and personal approach Products & Services. Perfect Telecom built its network and services around the main long-term agreements with major Tier-1 carriers around the world. We continue to rapidly evolve into new areas in a more than ever changing industry. Singtel is Asia's leading communications group providing a portfolio of services including infocomm technology, pay TV as well as voice and data solutions over fixed, wireless and Internet platforms. The Group has presence in Asia and Africa with over 500 million mobile customers in 25 countries, including Bangladesh, India, Indonesia, the Philippines and Thailand. It also has a vast network of offices throughout Asia Pacific, Europe and the United States. Telstra is a leading telecommunications and technology company with heritage that is proudly Australian and a longstanding, growing international business. Today, it has around 36,000 employees offering consumer, small business and enterprise services, with more than 3,000 based in 22 countries outside of Australia. 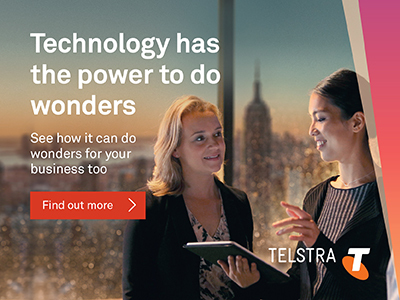 Telstra Global Enterprise and Services (GES) is a division of Telstra that provides data and IP networks and network application services, such as managed networks, unified communications, cloud, industry solutions and integrated services. These services are underpinned by our subsea cable network, one of the largest in the Asia Pacific region, with licenses in Asia, Europe and the Americas, and access to more than 2,000 Points- of-Presence around the world. Since 2003 XICOMM has been developing, maintaining and designing voice over IP networks for businesses ranging in size from large corporation to medium and small and even sole proprietorships. In 2008, XICOMM launched its own dedicated network in order to become a world wide wholesale carrier. XICOMM is interconnected with more than 160+ carriers throughout the world, carrying over 5 Million minutes of international voice traffic to various destinations in the world on a daily basis. This enables us to successfully terminate your international voice traffic to anywhere in the world with the best quality possible and the most competitive rate in the market. Today, XICOMM is carrying over 5 Million minutes a day of international voice traffic to various destinations in the world. We bring together talented professionals with idea and expertise to provide solutions unique to each of our clients. The engineers, developers and Marketing Experts at XICOMM passes over 10+ combined years of knowledge and experience that guarantees our clients do receive the highest quality of Service, Our solutions are base on a combination of the latest technology, hi-tech equipment, comprehensive business experience and competitive rates. XICOMM's value proposition is centered on providing exceptional service to our partners every day. Our relentless focus on attention to our partners' needs is the cornerstone of our success and is what separates us from other telecom companies. SG.GS is a global network service provider that commits to providing customer orientated services. SG.GS is your reliable partner for you to provide great services to your customers. We operate a global packet-meshed network that spans over multiple international cable systems designed to offer highest level of network resiliency. We connect directly to 3200 peers over 32 major IXs globally to ensure the lowest latency for your connectivity requirement. DIGITALK is a trusted vendor of Consumer, Carrier and Mobile platforms and applications to fixed and mobile communications service providers worldwide. Carrier Cloud is a high availability, unlimited capacity platform managed through a fully integrated suite of components, including automated rate processing, route optimisation, billing and bilateral agreements.By increasing efficiency through automation and reducing risk through real-time monitoring and analytics, Carrier Cloud drives down costs and increases service profitability. Launch rapidly and grow flexibly by visiting http://www.digitalk.com/carrier/. The 20,000-km SEA-ME-WE 5 cable system, spanning over 17 countries from Southeast Asia to Western Europe, is a technological breakthrough which marks a global communications milestone. It is designed with a capacity of 24 Terabits per second on 3-fibre pairs, fully capable of accommodating the future demand of data from other bandwidth-intensive applications such as enterprise data exchange, internet TV and online gaming. The SEA-ME-WE 5 cables’ advanced 100Gbps technology meets the bandwidth demand between Europe and Asia, providing the lowest latency and further enhancing the network diversity and resilience to the heavily loaded Asia to Europe route. In contrast with other submarine cable systems, the SEA-ME-WE 5’s main endpoints are carrier-neutral/open Points-of-Presence (PoPs) and not just Cable Landing Stations (CLS). China Unicorn Global Limited ("CUG") is a wholly owned subsidiary of China United Network Communications Group Company Limited. CUG is headquartered in Hong Kong. With 32 worldwide subsidiaries and offices, and 112 overseas Point-of-Presences (PoPs) in 70 countries/regions, CUG endeavours on global business development, operation and servicing outside Mainland China. 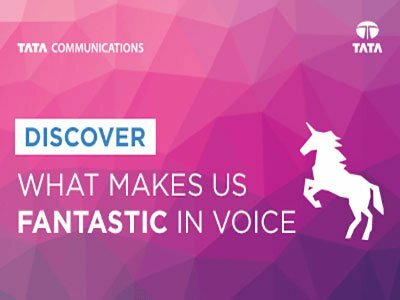 Leveraging on China Unicorn’s extensive global network coverage, CUG offers reliable end-to-end global integrated telecommunication services and solutions, including global connectivity services, global internet access, ICT services, cloud, internet of things (IoT), video conferencing, unified communications, content and security services, and provides personal customers with premium voice and mobility services. 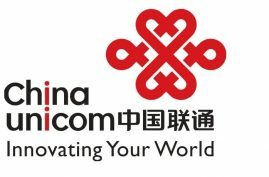 China United Network Communications Group Co. Ltd. (“China Unicorn”) was established in January 2009 with the merger of former China Netcom and former China Unicorn. China Unicorn, ranked in Fortune Global 500, is the only Chinese telecom operator listed in the stock exchanges of New York, Hong Kong and Shanghai (HKSE: 0762, NYSE: CHU, SHA: 600050). With a modern communication network characterized by nationwide coverage and extensive global reach, China Unicorn operates fixed and mobile communication services (WCDMA, LTE, FDD, TD-LTE), domestic and international communications facilities, satellite service, network access service, value- added and system integration services. China Unicorn has subsidiaries in 31provinces in China and overseas operations in around 1S countries and regions. GOIP Aula Ltd established in Hong Kong since 2008, as a leading ICT service provider offering various ICT services, such as, Global Connectivity, Data Center, Cloud Solutions, IT Support and Infrastructure Outsourcing Services in many cities in Mainland China and Hong Kong. 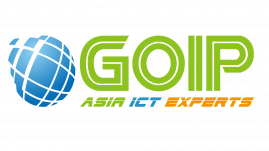 GOIP is a licensed ISP, VPN, IDC, Cloud Computing and SBO provider in Mainland China and Hong Kong, serving more than 100 cities in Mainland China, Hong Kong, Taiwan and Singapore, owning 100 Pops in Mainland China and 7 core nodes worldwide. GOIP helps deliver mission critical applications at Quality of Service (QoS) levels with high quality performance. SP Telecom is a joint venture company of ST Engineering and SP Group. SP Telecom builds its fibre network topology alongside Singapore’s nationwide power grid network. Through this, SP Telecom provides a differentiated design and diverse network solution for the smart and discerning, best-in-class enterprises and mission critical businesses. For more information, please visit www.sptel.com. SEAX aims to be a preferred partner of choice for wholesale connectivity and cable landing services within Indonesia, Malaysia and Singapore. 1) Providing PoP to PoP regional connectivity solutions within Indonesia, Malaysia and Singapore. 2) Enabling partners by offering interconnectivity services at SEAX neutral cable landing facilities and infrastructure. 3) Offering strategic partnerships to businesses that require the SEAX’s engagement as a local licensee in the markets which SEAX are licensed in. HAUD is dedicated in providing services and delivering solutions to protect, secure and increase revenues for mobile network operators. HAUD partners with its clients to stay in control of their networks, their SMS wholesale revenues and customer experience through the provisioning of various monetisation, fraud prevention solutions and other ancillary products and services. Established in 2010, HAUD has gained its place as a leading expert in revenue assurance, monetisation and telecommunication security, delivering its services and solutions to leading telecommunications players around the world. IX Telecom provides a platform for global Internet Service Providers to sell internet and managed services in more than 200 countries worldwide. We provide a full range telecommunication and ICT services to service providers and enterprises. We position ourselves as a One-Stop-Shop and disrupt the conventional Virtual Network Operator model by going far beyond simply providing network sourcing. Aside from that, IX Telecom designs, builds and manages the entire network solutions to meet customers’ global requirements in the most competitive way. Our aim is to provide simpler, more innovative and exciting communication experience to our clients, delivered with passion, quality and commitment. AdaptiveMobile Security is the world leader in cyber-telecoms security, powered by our core expertise and foundation in security with a unique focus on real-time mobile network enforcement. The combination of global insight provided by our security specialists teams, our world-leading Threat Intelligence Unit, and our proprietary, telecom-grade Network Protection Platform are trusted by the world’s largest service providers to secure their critical communications infrastructure. This unique combination provides constant protection and threat response services against current and future cyber threats to protect networks, nations and individual mobile subscribers. AdaptiveMobile Security was founded in 2004 and boasts some of the world’s largest mobile operators as customers and the leading security and telecom equipment vendors as partners. The company is headquartered in Dublin with offices in the North America, Europe, South Africa, Middle East and Asia Pacific. Congratulations and thanks to GCCM responsible for organising this incredible event in Singapore. It keeps getting better every year. Thanks again for your hard work and looking forward to seeing you again in 2019! Thank you the whole team for a really excellent week. We are very pleased and happy! Thank you and congratulations on a great event last week. I found it to be very information and beautifully executed. We were pleased to be involved. Thank you for the timely support to make this event run successfully for us!